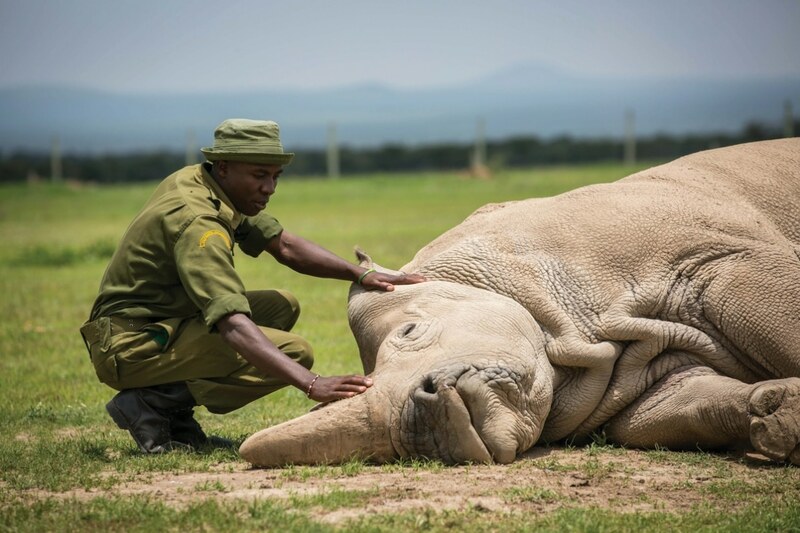 I was sad to hear that Sudan, the world’s last male northern white rhino, had died. It’s tragic when any species takes a step closer towards extinction. The natural world is one long chain of history – a build-up of DNA, increasing in complexity over the ages. Individual species embody hundreds of thousands or even millions of years of evolution. So when you see the embodiment of that evolutionary history just snuffed out thanks to humans, it’s clear that we’ve done something significantly wrong. It’s not just this animal. It’s not just this time. We’re stopping an evolutionary process that’s been unfolding for millennia. “But it may be that, sometime soon, extinction no longer has to mean forever. Science and technology are getting to the point where we can bring creatures back. If you have a full line-up of an organism’s DNA, you can take an egg from a related species, strip out its DNA and replace it with the DNA from the extinct animal. Then you stimulate it so that it starts dividing and you implant it in the uterus of the closely related animal. It’s called somatic cell nuclear transfer, and it’s the technique that was used to clone Dolly the Sheep [who, in 1996, became the first mammal created by cloning]. “We weren’t around to witness the extinction of a lot of animals, so we couldn’t grab any intact DNA. But in some cases, such as that of the northern white rhino, we have all the genetic material we need. 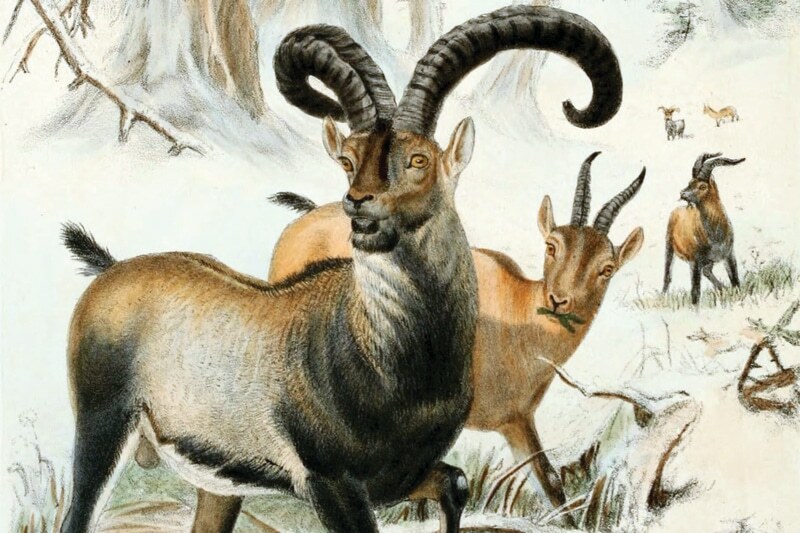 “In 2000 there was only one Pyrenean ibex or ‘bucardo’ left alive, a female called Celia. When Celia died in January that year, they took some cellular tissue and in 2003 they placed it into the ovum of a goat, stimulated it and implanted it in a surrogate goat’s uterus. The embryo came to term and was born as a de-extincted bucardo, a true phenomenon. Sadly, its lungs were so malformed that they barely functioned at all, so this poor thing died within ten minutes. The bucardo was extinct again. “So far, we haven’t managed to create de-extincted creatures which are capable of surviving, but it may be only a matter of time until we do. I am an environmental ethicist, and de-extinction raises a lot of very complicated questions. Some people look at de-extinction in a very simple, almost mathematical way: we lost something of value and maybe we can bring that thing of value back. There’s certainly something positive about offering an alternative to the current story about a world that’s crashing and burning and of species going extinct. I can see the temptation to argue that this story of increasing loss and degradation can be turned around. “You also need to consider it from the animal’s point of view – these animals went extinct because we had destroyed their natural environments. You might be able to bring the species back, but once you’ve got it back, where do you put it? We didn’t do a very good job at keeping the animal alive the first time, so what’s the evidence that we would do a better job if we bring it back? And what sort of life would it be for this creature that has none of its fellow species members alive? People talk about de-extincting the woolly mammoth. This animal would be isolated from the rest of its species by five or ten thousand years. It’s a strange life to give to an individual animal. “The northern white rhino is not extinct yet: there are still two females left. They – or their close cousins, the southern white rhino – could be impregnated via somatic cell nuclear transfer. But it’s not as if you just snap your fingers and suddenly you have scores of creatures again. The females would have to go through all sorts of pretty invasive, pretty unnatural processes in order to make this work. Is it worth making those females suffer this indignity today in order that we can have the species back? I think the answer to that is not clear. “Even greater ethical dilemmas are being brought up by synthetic biology – building a whole genome from scratch. So, you don’t go to an existing organism for some genetic material. You instead synthesise a new genome in a lab and stick that living form into an egg. Synthetic biology is already at the stage where you can put these synthetic genomes into bacteria and make them start doing things that you want them to do. This is a stunning development: life is being designed in a lab, being made to work according to human design, rather than according to what the planet has handed down to us over billions of years of history. There’s something about building life from scratch that is sort of mystical, theological and spiritual. It is a development unlike any other and we’ve got to figure out whether this is something we should be doing or not. “I truly believe we’re facing the most significant moment in planetary history. Our world has, up until this point, been determined by processes that are outside of human hands. We inherit the Earth, and the planet we find has been created by processes that stand outside of us: planetary processes, geological processes, evolutionary processes. We stand at the point where we can start organising and managing and creating these systems. We are on the brink of being able to bring back creatures that have been extinct for centuries and create entire new organisms in a lab. There are scientists talking about climate engineering – controlling climate change by managing the amount of solar radiation that arrives at the planet from the sun. We’re just gaining the capacity to shape the Earth from the very smallest components to the largest, from the atom all the way up to the atmosphere. So this, right now, is a significant moment. Some think we should start to bring creatures back from extinction, save the ice caps, reverse climate change… But will it go wrong, like it did for the resurrected bucardo? Christopher J Preston is the author of The Synthetic Age: Outdesigning Evolution, Resurrecting Species, and Reengineering Our World, published by MIT Press at £15.99. For an insight into why the best way to save rhino species from extinction might be to legalise the international trade in rhino horn, read our in-depth investigation, ‘Horns of a dilemma’, in Delayed Gratification #33. This entry was posted on Friday, April 12th, 2019 at 11:46 am and is filed under Delayed Gratification magazine, From the archive.